Pantone designated "Greenery" as the color of the year for 2017. We have certainly seen that reflected in rental trends this year! 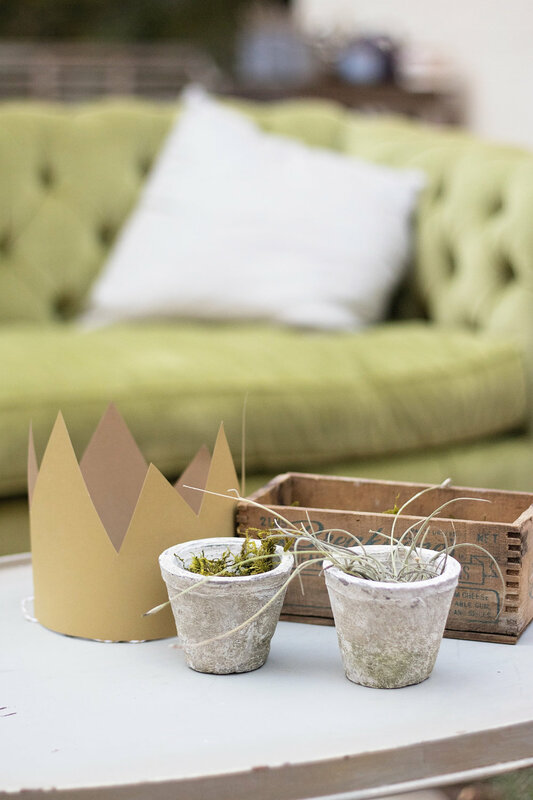 What WE love about this color - it is neutral, natural, and can be paired with almost any other color! Below is a collection of our favorite green inventory. If you're still planning a 2017 (or 2018) event, it's not too late to book! 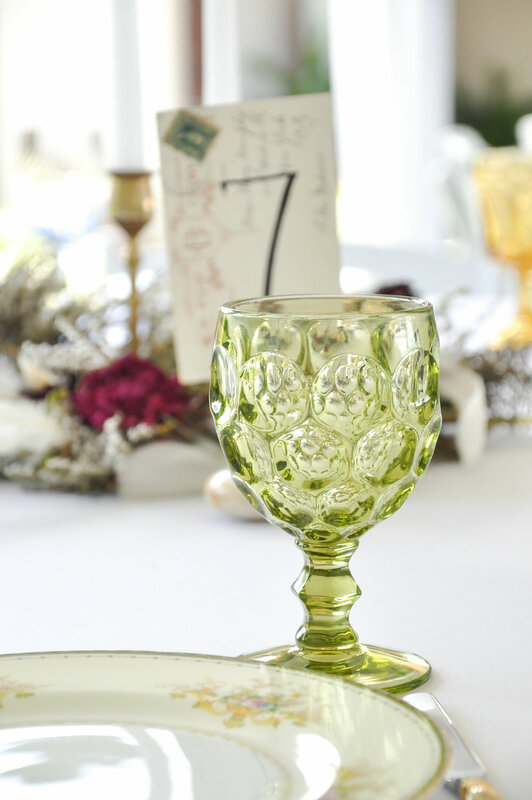 Let's start off with the most popular green item we have, and OUR personal favorite - our vintage green stemware! Flowers not your thing? 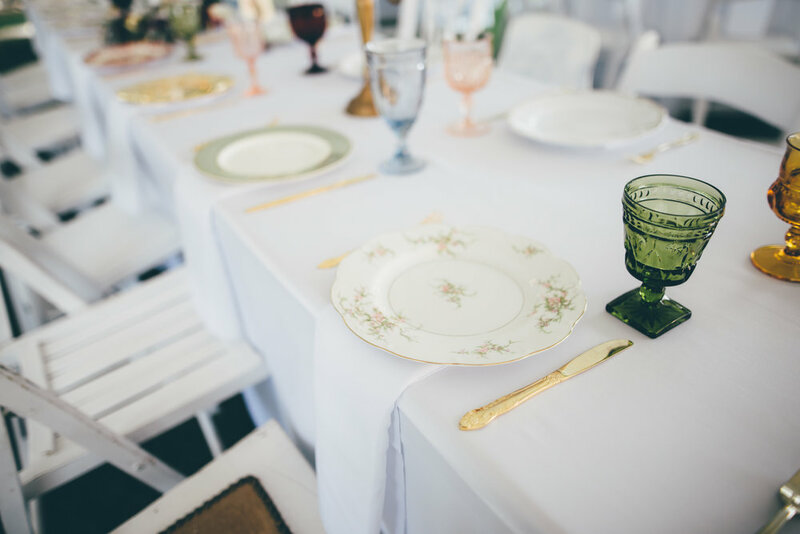 If you spend money on pretty glasses, you can spend less on florals for your tables because your tables will already have a pop of color. You are going to serve beverages, right? You might as well serve them in style! Next up - green plates! 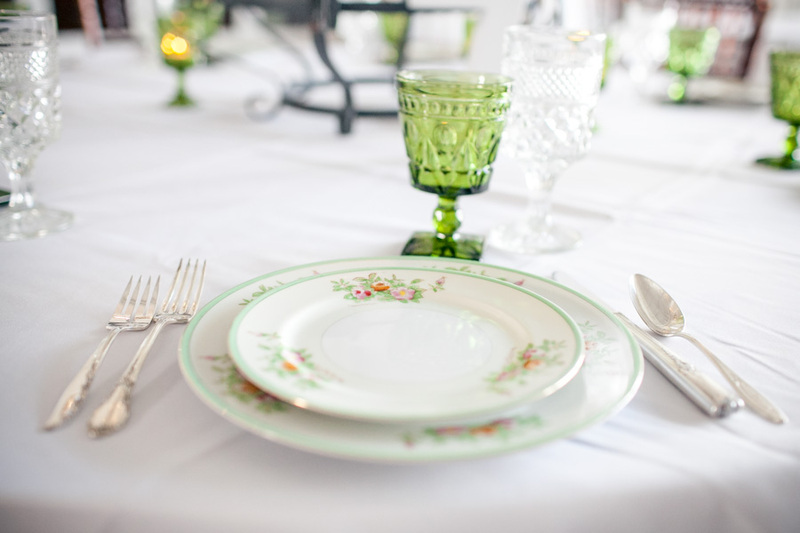 We've got the green classic collection china and green glass plates in various sizes (dinner, salad, dessert). Your lounge area can feature this trendy color too! 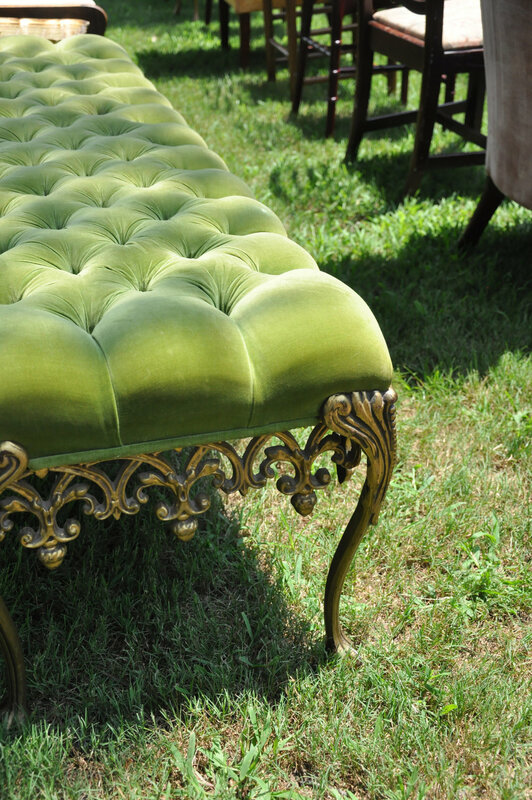 Elphaba is our biggest green piece - a velvety, tufted, and luxurious sofa! Next up, Elphaba's sister Nessa Rosa. She can be used as a bench or ottoman. 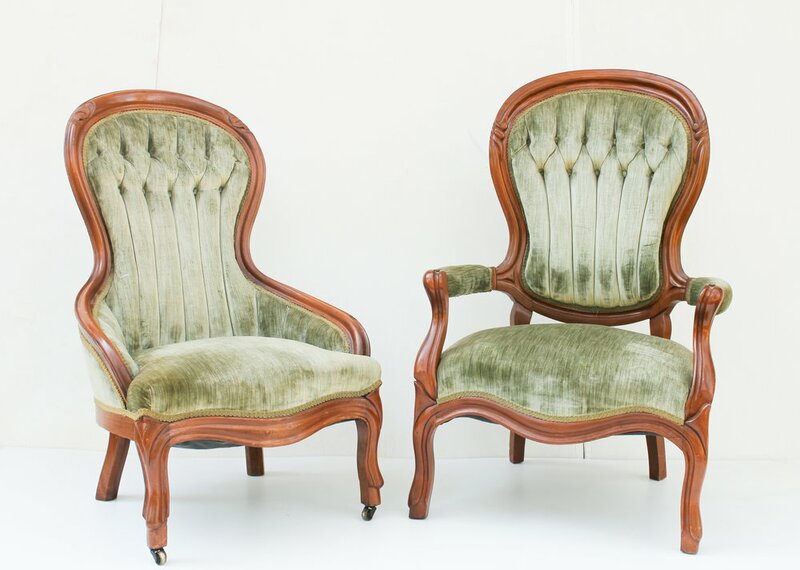 Lady Edith, Sophia, Bogey and Bacall, and Ferris work beautifully in lounge areas and wedding party photos - and are useful as comfy seating for your tired guests! some adorable finishing design details from our small accent collection. 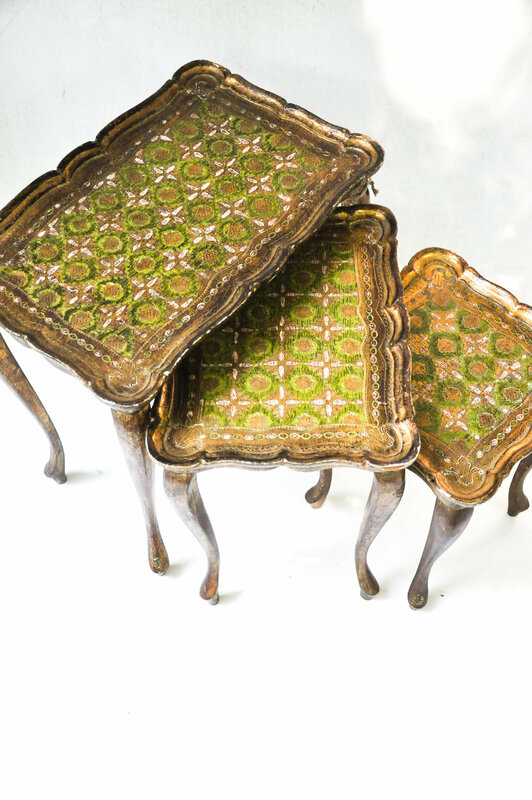 you can always add greenery to your favorite Southern Vintage piece! Looking for some more wedding inspiration? Check out our many Pinterest boards - carefully cultivated just for you! Cheers to a brand new week full of all your favorite things!